Gregory Neale Harrison was born on the 31st May 1950, in Avalon, Catalina Island, California USA, and is an actor who is probably still best recognized for starring in the role of Dr. George Alonzo “Gonzo” Gates in the TV series “Trapper John, M.D.” (1979-1986), playing Paul Norris in the TV series “One Tree Hill” (2009-2011), and as Joe O’Toole in the film series “Signed, Sealed, Delivered”. His career has been active since 1973. So, have you ever wondered how rich Gregory Harrison is? According to authoritative sources, it has been estimated that the total size of Harrison’s net worth is over $3 million, as of early 2017. He has been accumulating this amount of money through his successful career as a professional actor, now stretching over more than four decades. 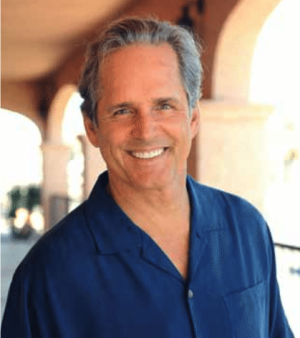 Gregory Harrison is the middle child of Donna and Ed, who worked as a ship captain and was a poet. Before he began acting, he served as a medic in the US Army during the Vietnam War. When he returned, Gregory started working at a nightclub as a doorman, until he was spotted by actor Jason Robard who offered him a job as an actor, so he moved to Los Angeles and began to pursue a career in the acting world. Subsequently, Gregory’s acting career began when he made his debut appearance in the 1973 film “The Harrad Experiment”, after which he had many small roles in such TV and film titles as “Wonder Woman” (1975), “Fraternity Row” (1977), etc. In 1977, he won the role of the title character in the science fiction TV series “Logan’s Run”, which lasted until 1978, when he was chosen to play Levi Zendt in the NBC mini-series “Centennial” (1978-1979). When the filming was ended, he once again won one of the leading roles in a TV series, in “Trapper John, M.D.” (1979-1986). By the 1990s, he had also starred in film titles including “Picnic” (1986), “North Shore” (1987), and “Red River” (1988), all of which helped him build his career, and increase his net worth considerably. The next decade didn’t change too much for Gregory, as he continued to line up success after success, winning the role of Jack Taylor in the CBS sitcom “The Family Man” (1990-1991), produced by Robert L. Boyet and Thomas L. Miller. He continued adding several more notable roles to his name, including in such productions as “Sisters” (1995), “Dark Skies” (1996-1997), and “Air Bud: Golden Receiver” (1998). In the following year, he appeared in the role of President Jonathan Hayes in the film “First Daughter”, playing Oliver Caldwell in a film entitled “Au Pair”, and as John Loring in the WB Network series “Safe Harbor”, all of which added a considerable amount to his net worth. The role of Oliver Caldwell he later reprised in “Au Pair II” (2001), and “Au Pair 3: Adventure In Paradise” (2009). Gregory’s first engagement in the new millennium was in the film “Canone inverso – Making Love” (2000), and the same year he featured in the TV series “Ed” as Nick Stanton, which was followed by the role of Tom Gillette in the TV series “Judging Amy” (2000-2001), increasing his net worth by a large margin. Until 2005 he didn’t have any major role, when he appeared as Dean in “Joey” (2005-2006), and as Russell Brewster in “Reunion” (2005-2006). After that, his next big role came in the TV series “One Tree Hill” (2009-2011), playing Paul Norris. To speak further about his career, in 2012 he was selected to play Tim Arbogast in the popular TV series “Ringer”, and two years later he appeared as Mack Riley in the film “The M Word”, and as Decatur Fortnum in the TV series “Reckless”. Most recently, he was cast in the “Signed, Sealed, Delivered” franchise, and also he found engagement in the TV series “Rizzoli & Isles” (2015-2016). His net worth is certainly rising. Speaking about his personal life, Gregory Harrison has been married to actress Randi Oakes since 1981; the couple has four children together. Their current residence is in Eugene, Oregon. Spare time he spends enjoying kayaking, swimming and playing golf with friends. 1 [Of Pernell Roberts]: Pernell was a wonderfully talented man. He had a lot of demons, but when he wasn't fighting them, he was one of the most charming men I had even known. Incredibly bright. Things didn't work out the way he had hoped they would, and he had to deal with that on some days. ... He was sure he would have a good film career and stage career. But he wasn't cut out for compromise, and network television then required lots of compromise. 2 [on the death of Pernell Roberts]: Pernell was a wonderful man, a good friend, and a big part of my life, especially when I was just beginning as an actor. He was a true inspiration to me, as he was to many actors over the years. I was so lucky to have shared the screen with him for nearly eight seasons, and am deeply saddened at his passing. Fortunately, he lives on in the memories of his fans, and in the hearts of the lucky people, like you and me, that he touched personally. I'll be forever grateful to him. 3 [on his on- and off-screen relationship with Pernell Roberts, who played Dr. Trapper John McIntyre]: Early on he told me, 'Greg, the key to good acting is sincerity. And once you've learned to fake that, you've got it made.' He was joking, of course. We had a very close relationship. A series is like a family; you have spats and fights, but you also get incredibly close. I once tallied up how much time I'd spent with my own mother and how much time I spent six feet from Pernell Roberts. Pernell took that one. 4 [Who responded at the time why his future Trapper John, M.D. (1979) series' lead and best friend, Pernell Roberts, left the Bonanza (1959) series, at the end of the 1964-65 season]: Pernell told me the reason he quit Bonanza (1959), after the sixth or seventh year, was that he could no longer call a man 'Pa' who was only seven years older than he. 5 It wasn't easier, but being a successful working actor in the '70s and '80s was much more lucrative and much more rewarding. The industry has changed so much from then to now that even though I'm still working all the time, there is no middle class actor anymore. You're either a $20 million dollar player or it's a hobby. 6 Pretty much nothing can stop me now. 7 [Who knew it was nothing unusual for him to get recognized out in the lineup by surfers of a certain age]: They were all 16 or 17 years old when 'North Shore' came out. It was a seminal influence in their lives. If one of them recognizes me, it goes through the lineup immediately: 'Whoa, Chandler, dude, your wave!' I get more free waves out of that. 8 [When he was talking about the water]: I think if there were really good, surfable waves coming in, I might not be as relaxed and enjoying it as much. It would be a really staccato kind of interview. 9 I didn't study acting for nine years to become a hunk. 1 Credits Pernell Roberts as his favorite acting mentor/best friend. 2 He was awarded the 1981 Los Angeles Drama Critics Circle Award for Distinguished Performance in Leading Role for the play, "The Hasty Heart" at the Ahmanson Theatre in Los Angeles, California. 3 June 2003 -- Plays Billy Flynn in the road company of 'Chicago'. 4 His acting mentor was the late Pernell Roberts. 5 Best known by the public for his starring role as Chief of Surgery - Dr. George Alonzo 'Gonzo' Gates on Trapper John, M.D. (1979). 6 His parents, Ed and Donna (she was once an aspiring dancer), divorced when he was 14. A middle child of three, his older sister Kathleen and younger brother Christopher are both artists. He and his father were both born and raised on South Catalina Island, unlike the others in his family. 7 Spent his youth swimming, fishing, and diving for coins tossed by the tourists who lined the railings of the two-thousand passenger S.S. Catalina as it sailed into the bay during the summer. 8 Jobs varied during his salad years from delivery boy and window washer to handyman and construction worker. He also worked/performed at a bawdy Elizabethan-styled theatre/restaurant. 9 Played the role of slick lawyer Billy Flynn in the NY production of "Chicago" on and off between the years 2003 and 2006. 10 His over 25-year marriage to former model/actress Randi Oakes managed to survive Greg's early personal battles with alcohol and cocaine. 11 After serving for two years as a medic, he finally received an honorable discharge in 1971 from the Army as a non-religious conscientious objector. 12 Took up the guitar while he was in the Army and also started composing songs. 13 First big break came in 1976, when he was cast in a guest-star role in the CBS series "M*A*S*H". 14 In 1980, Gregory formed, with Franklin R. Levy, the Catalina Production Group. Over the next eleven years, they produced numerous stage projects and nearly two dozen television movies. Catalina Productions was an important force in the Los Angeles theater scene from 1981 to 1992, and the approximately 60 plays presented by the company were honored with over 150 local theater awards. Those plays included "The Hasty Heart" (1982), which won the Los Angeles Drama Critics Award as Best Production (including Best Actor for Gregory), and "Picnic" (1986), for which Gregory won a Dramalogue Award. In 1990, he was was the recipient of the L.A. Ovation Award for Outstanding Contribution to L.A. Theater. 15 Wife Randi Oakes is also an actress who played the character "Officer Bonnie Clark" on the TV series CHiPs (1977). 16 Has 3 daughters, Emma Lee Harrison (born December 10, 1985), Lily Anne Harrison (born February 6, 1989) and Kate Harrison (born 1991) with Randi Oakes. The couple also has an adopted son, Quinn Edgar Harrison. 17 He also enjoys swimming, kayaking and is a keen golfer. 18 He is also one of the original members of the Surfrider Foundation, a non-profit environmental organization that works to protect the coast that was founded in 1984. Harrison is an avid surfer. He claims to have ridden the waves of every surfable ocean on almost every continent in the world. 19 In 1980, he formed with Franklin R. Levy the "Catalina Production Group Ltd." producing numerous stage projects, more than two dozen televsion movies. Catalina was an important force in the Los Angeles theater scene, from 1981 to 1992, plays presented by Catalina were honored with over 150 theater awards, E.g. in 1982 for "The Hasty Heart". 20 Gregory served two years as a medic in the Army. 21 While working as a doorman at a nightclub, he met Jason Robards who offered him encouragement to become an actor. He quit his job and moved to L.A. immediately afterward. 22 Never saw snow until he was 19 years old. 23 Gregory was discovered on the musical theater stage and returns there now and again. The Gathering 1977 TV Movie Bud Jr. The 51st Annual Tony Awards 1997 TV Special performer: "Everybody Dance"
For Ladies Only 1981 TV Movie composer: songs "For Ladies Only", "On the Street" and "I've Got Dreams"